Decoden is a Japanese craft that uses a thick silicon clay/glue that looks like cake frosting to bling out objects. It is addicting! Not to mention decoden is a great way to use up the little bits of crafty this and that I found when I built my wrap around fence board shelves, reorganized my craft supply storage, and cleaned out my desk and closet in the computer room. Decoden started with decorating phone cases. Now it is moving toward using decoden to decorate any object that doesn’t move. I have a USB Flash drive that is sitting still and wears a logo that I want to cover and a few beads left from my grandmother’s craft stash. Let’s do this. I’m using Martha Stewart Crafts Sparkle Texture Effect (get more info about it here) and a palate knife because I have both on hand. The glitter is already mixed in so I don’t have to worry about the glitter shedding before, during, or after my project either. Of course if I was worried about glitter shedding from my finished project I could also skip using glitter all together. But I think a world without glitter was be less superfantasticfun so I’m using what I’m using. Do what you like. Feel free to add your own spin to this tutorial! 1. If you are using a new tube of caulk, prepare the tube by cutting the tip off with a pair of scissors and breaking the interior membrane with a long nail if your caulk gun does not have a tool to shove into the tube to break the protective seal inside your tube of caulk. 2. Apply the chalk/clay/texture to the top side of the flash drive. 3. Optional: Sprinkle the caulk/clay with glitter. The glitter will stick better and shed less if you make it the first layer rather than the last. I skipped this step since my decoden medium has glitter in it. 4. 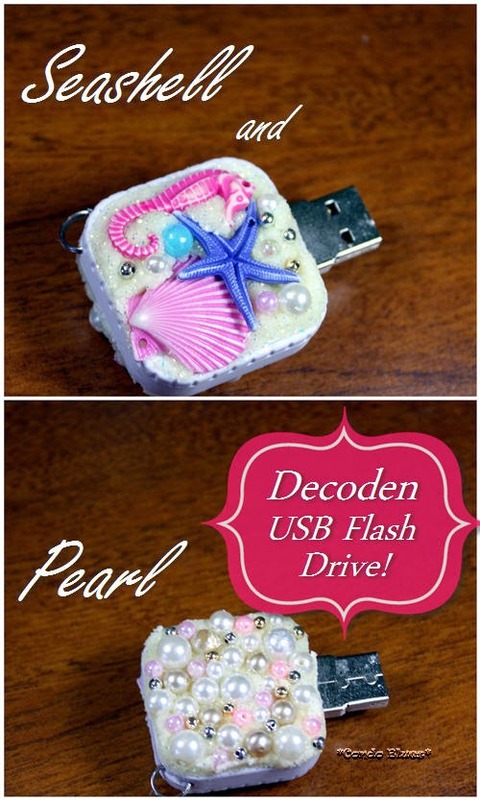 Go crazy and decorate your USB drive by pushing the starfish, seahorse, and shell beads into the decoden medium. 5. Artfully tuck the small metal seed and pearl beads into the spaces around the large beads. Tip: You may need to wipe excess clay/caulk/texture medium off the sides of your USB drive. 6. Apply the chalk/clay/texture to the bottom side of the flash drive. 7. Optional: Sprinkle the decoden medium with glitter. 8. Place a fabulous array of large and small pearl beads, pink beads, and silver and gold seed beads into the decoden medium. I’m keeping this side of my decoden as flat as I can since this is the side of the flash drive that will most likely need to maneuver around other USB cables on my computer. 9. Set the decorated flash drive aside and allow the decoden to dry. Depending upon how much and how thick the decoden medium you used, it may take a day or two to dry completely. 10. 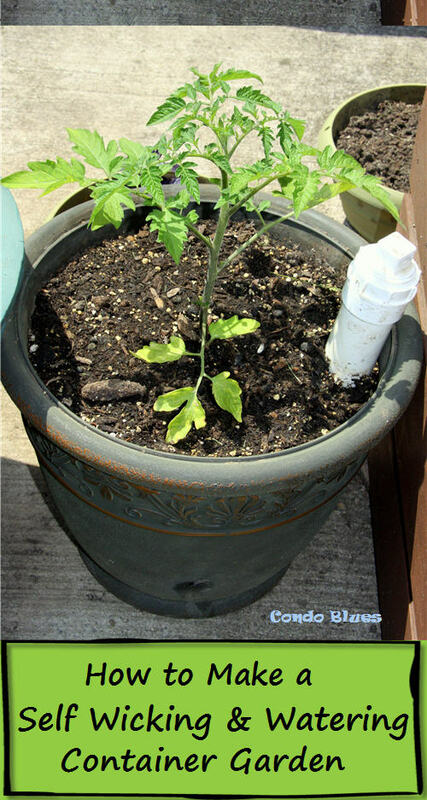 After the caulk dries, plug it in, and load it up! I filled my decorated decoden USB storage drive with MP3s to play in my car. Do you decoden? 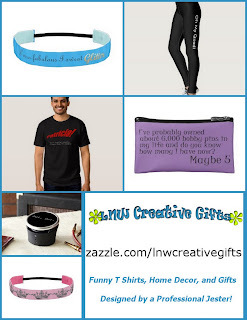 What do you decorate?